- How did your individual efforts in CPM’s Britvic sales campaign contribute to you winning this fantastic award? - I looked at removing any obstacles that inhibits sales, no matter how small or insignificant it might have been, if it stopped their potential, or eroded their time selling... I would reducing it or look at removing it where possible. Freeing up the teams time to do what they are tasked with; grow the business both volume and revenue, I also developed an incentive based on displays captured from RF(self-audit) this drove a huge increase in the amount and quality of displays the team secured on a daily basis. This all fed into our goal of increasing volume and revenue. - What have been the tangible results from your endeavours in this successful project? - Where the market has been in decline for the last number months, The Britvic business has been able to grow both revenue and volume for both customers despite these trends in their overall business losing share. - Did these positive results come from your solo or from your team’s productive efforts? - I tried to create a climate in the team in which people are motivated to excel. This brought out the competitive spirit in the team, a spirit that all good sales people posses. Without a strong team I would not have received this award so it’s very much a team effort with everyone’s hard work and passion they bring to work every day delivering our results. - What was the greatest obstacle you had to overcome and how did you overcome it? The greatest obstacle I had to overcome was giving our customers the confidence that we, as a team, were not just an agency team, we wanted to win over there confidence that we were passionate about both our business and theirs, we were passionate about our brands. That we would look at ways to help them grow their business, resolve any issues the customers had and move on together growing mutually. - Proudest day, that’s a hard one. I really enjoy the fast pace of the FMCG market and the working day is never the same. I have many proud moments in the job and nearly all come from the business recognising the hard work the team do and the results they deliver. I would always circulate someone efforts that delivered a strong result and call out to the business best in class examples of their achievements. I think it’s important that people’s efforts are recognised and in turn build their profile in the business. There are too many examples and I feel it would be unfair to the team to call out one when there are numerous examples from many team members. - The toughest day would have to have been also the toughest week, Christmas week. It’s the business busiest week and we had serious problems with our logistical services, customers’ orders started to run 24hrs then 48 hrs and even 72 hrs late from the previous weekend. As a team we had delivered the sales orders, had our teams of merchandisers waiting to pull the product out but it was havoc as store started to run out of key packs causing my phone and the reps to go into over drive. I made the decision to base myself in the transport office and co-ordinate the deliveries based on importance. This meant we were able to give customer times and days when deliveries would arrive, early mornings and long days but it all worked out as we eventually sent the last order out on the 23rd at around 8:30 pm. Glad I was able to enjoy the break knowing we eventually delivered for all our customers. - What particular skill sets have you harnessed this year? - I have been able to raise my ability to focus the team, making the team feel that as one unit we work for the same goal. I will support them as much as possible and help on any request I receive no matter how small. 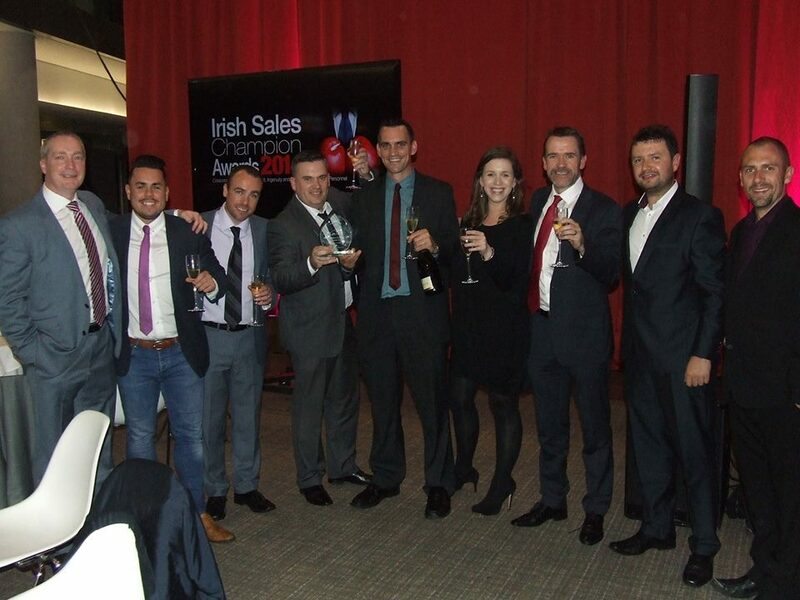 As a sales person on the road it can be a lonely week, but the camaraderie has grown and the team are all helping each other on a regular basis and sharing what work for them to achieve goals. So in summary I would have to say it would be the ability to motivate. - What business functions for the Britvic campaign are you looking to improve next year? - The next piece of the puzzle that I have my eye on is to further each of the teams development in their consultative selling techniques. I have set out to grow our OTG (On The Go) business to a 21% market share in the multiples. There will be a number of triggers we need to land with the customers to achieve this but we have started and know what we need to get there and is in line with Britvic’s plans for the business. - What did winning this amazing award mean to you? - It was a really proud moment for me and for what the team are doing on a daily basis, to get recognition for all the hard work being done by all on the team was a real honour. - Finally Paul, who’s going to win the World Cup? - Seen Ireland has yet again failed to qualified I was going to say Spain but quickly changed my mind after the Dutch game - lucky, I am not a betting man. Argentina looks strong and would love to see Messi lift the trophy as I think he is a great ambassador for the game and a joy to watch. 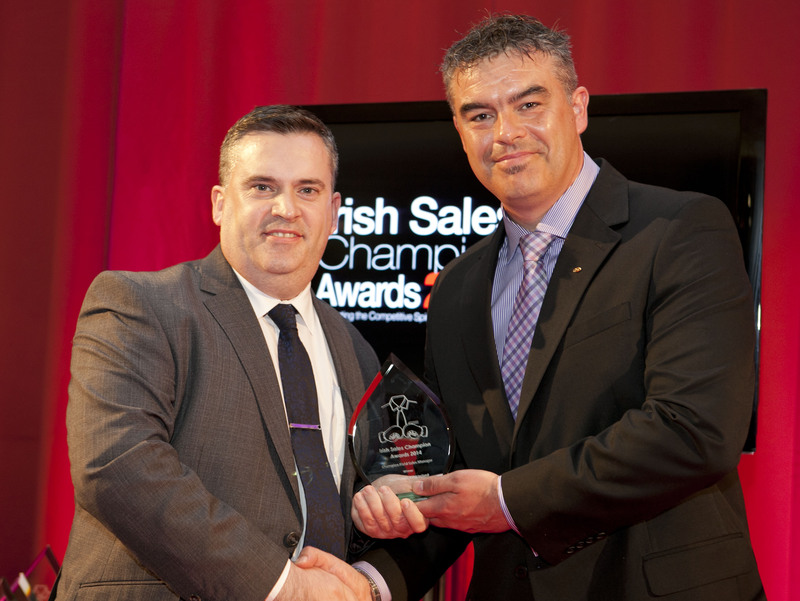 One things for sure, CPM continues to be Famous for sales - this is our fourth year in the running in which we have won an award. 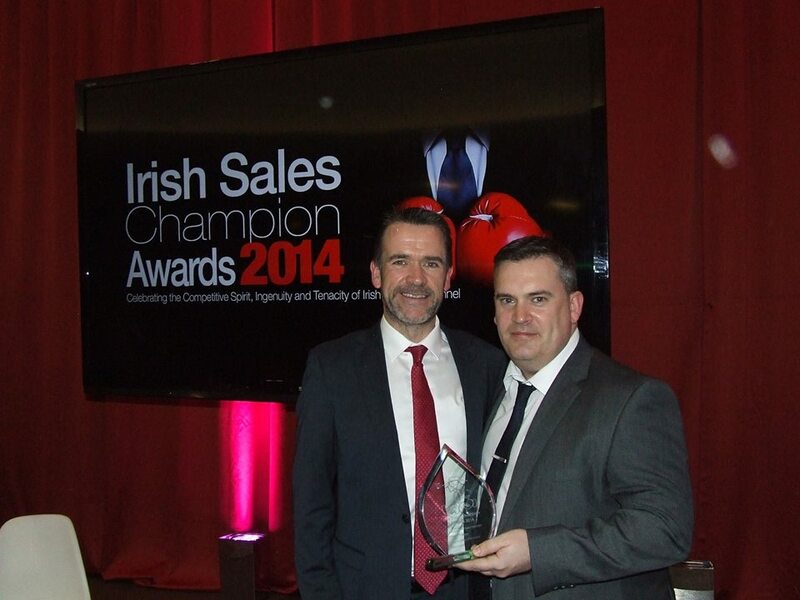 Congratulations Paul from all of CPM on winning this award, you truly deserve it.